It’s seven o’clock in the evening Beijing time, but out on the Ganjia grasslands the sun shows no sign of setting. Outside the yurts of Sirou village several marmots rest by their burrows, plump rears upturned, showing no fear of people. In the past the herders ate meat and butter tea – natural foods – and any waste would naturally degrade. But with the growth of modern lifestyles, processed foods have become popular and herders discard the plastic packaging on the grasslands when they are grazing their livestock, polluting the environment. Wang Yongchen is the founder of Green Earth Volunteers, a group that documents the environmental problems along the course of the Yellow River and she has been visiting the river’s source for seven years. She explained that the rubbish problem has been tackled in recent years with the growth of volunteer litter pickers. In the past, waste was simply dumped by the river side, she said. Gongbu Zeren is a lecturer in natural resource management at the Southwest University of Finance and Economics. He believes the Tibetan traditions of circumambulation of sacred mountains and making sacrifices in sacred lakes are contributing to the mounting litter problem. Ritual offerings are placed in ceremonial bottles, sometimes made of plastic, or wrapped in a scarf and then thrown into a lake. Those bottles have become one of the main sources of pollution threatening the local ecosystem, he explained. Scarves made from synthetic fibres and plastic bottles can take over a century to break down, during which the pollutants released threaten local plants and wildlife. 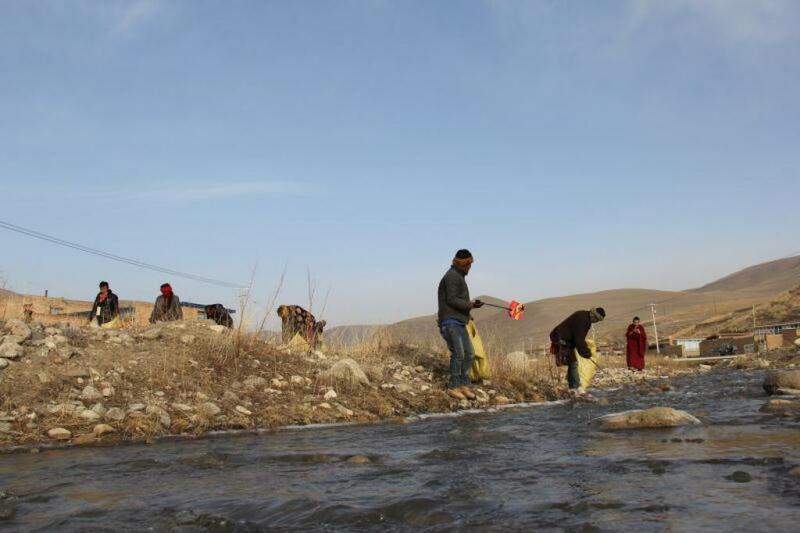 Sangay and his volunteers in Ganjia are aware of the problem and focus on areas around water sources and sacred sites during their clean-ups. An increasing number of people come to worship at two sacred sites, the White Rock Cliffs and a limestone cave set within those cliffs, and so the volunteers have set up signposts and started collecting litter along a circumambulation route. Government waste collection and disposal systems simply don’t reach as far as these remote grassland sites. 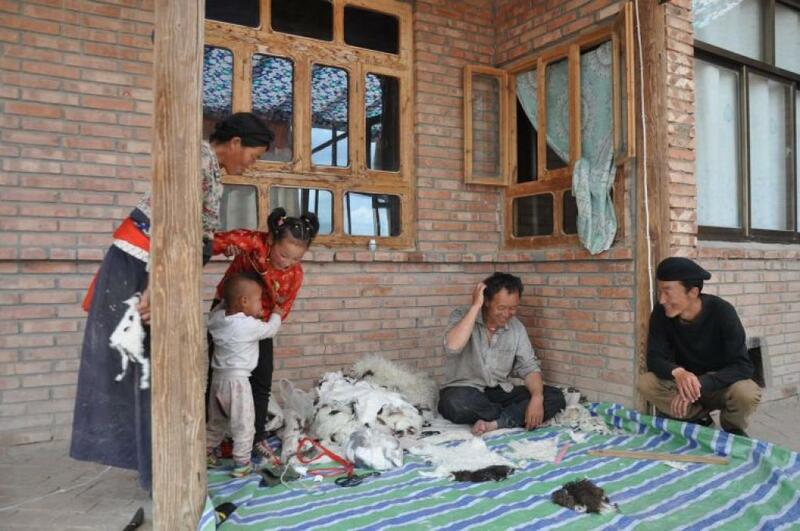 The locals have gradually come to understand what the volunteers are doing and the team has expanded to include 230 people across the 13 villages on the Ganjia grasslands. Thanks to Sangay’s efforts, the association has won some funding to pay for the gloves, brooms, bags, and transportation the volunteers need. The grassland ecology in Qinghai once only supported yaks and herders, but rapid modernisation has changed all that, and old approaches will not work on new problems. But Sangay hopes that his innovative ideas and growing band of volunteers can restore the delicate ecological balance to the grasslands.